Cameco says it is forecasting a weaker 2019, suggesting the uranium market is in recovery. In its fourth-quarter update, the company cited the extended shutdown of McArthur River/Key Lake for an indeterminate duration, allowing it to drawdown excess inventory to build cash flow to weather frail market conditions. This means uranium in the McArthur River/Key Lake site will most likely sit there until 2021 as CEO Tim Gitzel says Cameco has not secured acceptable long-term contracts to warrant reopening the northern Saskatchewan operations. The July 2018 shutdown at McArthur River/Key Lake saw the layoff of 520 positions. A further 150 jobs were reduced at the corporate offices in Saskatoon. Cameco says it is pleased with the recent Canada Revenue Agency ruling on three tax years. While Gitzel says the case is now in appeal, Cameco is looking to recover $38 million from the CRA. He says there is uncertainty as the U.S. government investigates whether Canadian uranium poses a national security threat. There is no indication as to when that investigation could conclude with a ruling. 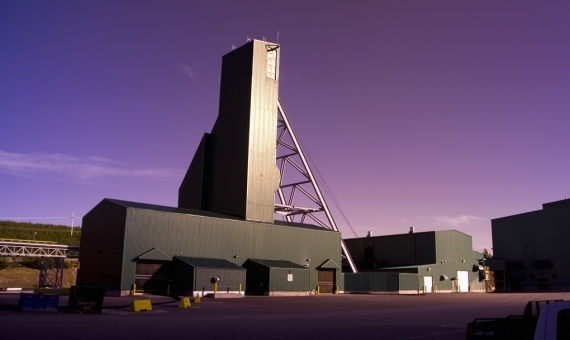 Potential trouble could be on the horizon for Cameco’s only operating mine. The contract for unionized workers at the McLean Lake operation is set to expire in May, which provides 18 million pounds annually to the market. Gitzel while not signaling a labour disruption warns that one could put supply pressure on a recovering market.